SaaS success requires acquiring new customers, growing their account revenue, and retaining these customers – nailing these three areas leads to strong growth in a SaaS company’s reoccurring revenue. The tools provided by Marketing Automation and Customer Engagement Analytics software are essential to driving the growth of SaaS revenue. SaaS companies must drive both the number of customers and their Customer Lifetime Value (CLV) Maximizing Revenue for SaaS Companies is more than Customer Acquisition. Marketing Automation together with Content Marketing and Sales Force Automation (SFA) drives new customer acquisition. Customer Engagement Management provides the tools which drive the increase in Customer Lifetime Value. Customer Engagement Management dramatically increases trial conversions, customer success, customer satisfaction, customer referenceability, revenue per customer, and customer retention. Customer Services together with Customer Engagement Management drive Up-Sales, Cross-Sales, and Customer Retention using related techniques. These components effectively become part of the Customer Relationship Management system also including Sales Force Automation and Customer Service providing a complete view of the customer. Marketing Automation software use is exploding as it efficiently drives new revenue through a personalized approach giving each prospect (or customer) the right message to the right prospect at the right time, increasing revenue, decreasing the sales time, and decreasing sales costs. Marketing Automation is essential for the “low touch” SaaS sale while improving the efficiency of the high touch, high value enterprise SaaS sale. Marketing Automation is essential for the “pull” sales strategy where the buyer extensively researches the product long before the first contact with the company. Companies must embrace a Content Marketing Strategy making information valuable to the prospect available through multiple channels including web content, social media, email and trade shows. Marketing automation collects data about these interactions and ensures prospects obtain the information that will help move the sales process forward based on the prospect’s attributes mined from their interactions with the content provided by the company together with data from social networks. The success in utilizing Marketing Automation to increase sales has resulted in this market segment forecasted growth of 50% in 2013 to $750 million according to Raab Associates (February 2013), though the market for Marketing Automation is still just being penetrated. The growth of this market has led to the acquisition of many leading Marketing Automation firms including Aprimo (now Teradata Applications) by Teradata, Eloqua by Oracle, and Pardot by Exact Target. Independent Marketing Automation firm Marketo IPO-ed in May of 2013 with a first day valuation of $820 million while private Marketing Automation companies HubSpot and Act-On are showing strong revenue growth. Smaller Marketing Automation companies such as MindFire serve niches such as focusing on supporting complex, direct mail, cross-media marketing campaigns. These Marketing Automation concepts have been repurposed and extended to the use of the product as the source of quantitative usage data which was not feasible prior to the SaaS revolution; On-premise software vendors have no direct way to determine the use of their software. Customer Engagement Management are valuable first during the initial use of the product during the customer’s trial or “proof of concept” phase where the purchase decision depends largely on the prospect’s early success. Customer Engagement Management analytics capabilities can determine which users are struggling with the product or haven’t used it during the trial period. Both automated messaging to help the user succeed with the trial and notification to sales or support (aka Customer Success) personnel can substantially increase the conversion to a paid service by taking appropriate direct action to improve the user’s initial success. Successful SaaS companies focus on increasing the Customer Lifetime Value after the initial sale. This is a function of retaining that customer and increasing that customer’s subscription revenue where Customer Engagement Management is essential. By monitoring the user’s use of the SaaS product through Big Data technology, Customer Engagement Management software can predict which users are candidates for additional sales and which are at risk of churn. Mining this usage data together with data about the user such as position in the organization and the community (often obtained from social media such as LinkedIn) can direct messages and actions which are appropriate for each specific user. This includes the appropriate targeted help messages and training, and alerts to the customer success or sales teams. These methods drive Up-Sell and Cross-Sell revenue while improving customer success, satisfaction and retention. Improved customer satisfaction also improves the company’s reputation, improving the company’s referenceability and driving referrals from its customers. Customer Engagement Management and the follow-on action is a new SaaS discipline led by four venture funded companies, Totango, Gainsight, Scout Analytics and Evergage which is rapidly becoming a “must-have” capability for all SaaS companies as the benefits from this technology are being realized. Marketing Automation and Customer Engagement Management perform complementary tasks utilizing different information sources. Working together, they can significantly increase the SaaS company’s revenue. The analytics provided through Marketing Automation and Customer Engagement Management provide great value uncovering where processes are breaking down or working well in either the marketing/sales process or in use of the SaaS product. Resources can be allocated optimally to solving customer issues or accelerating optimal use to drive more revenue faster during the presales, trials, and product use. Marketing Automation can determine where the prospect stalls during the sales process and the greatest abandonment occurs. Marketing Automation and Customer Engagement Analysis can both provide data of the profile of the prospect that moves from a trial or free version of the product to a paid version. This information can be used to change the user experience and provide directed assistance to improve the probability of driving the user to the paid product version. Customer Engagement Management can uncover the product use profiles that correlate with customer retention and Up-Sells, while giving guidance on how the product’s most valuable characteristics can be promoted. 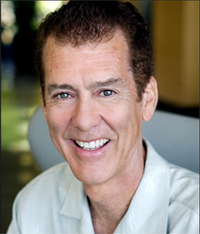 Intuit discovered through Customer Engagement Management that their users abandon the use of TurboTax when complex questions were asked early in the tax interview process. By asking easier questions early, and more difficult questions later, the abandonment rate for the use of TurboTax decreased. While user experience testing in control situations might give insights into these insights into reducing abandonment, these insights are readily available over the entire user base through Customer Engagement Management. By using both Marketing Automation and Customer Engagement Management together, the entire lifecycle from the initial sale through the retention and growth of customers can be optimized for the greatest revenue attaintainment. Once the prospect uniquely identified by their first interactions (marketing web site or other initial interactions), or from the first SaaS user interactions, these systems begin the process of automatic analysis, scoring, messaging, and notifying the appropriate personnel, whether the desired result is the closing a sale, completing a successful trial leading to a sale, upselling additional capabilities, or increasing retention. 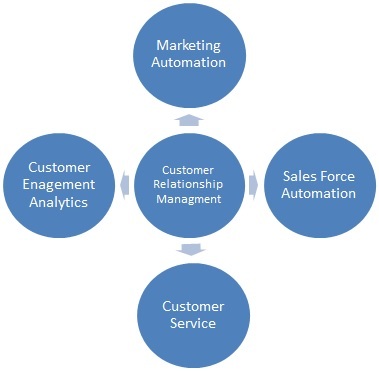 Both Marketing Automation and Customer Engagement Management cycle through four stages to drive sales, customer success, and customer satisfaction described in the section below and enumerated in Appendix I. The cycle begins with the initial tracked interaction with the individual. This may be from a tracked “pull” from the prospect when they are first exposed to the company such as by researching the product space by a web search where they visit the company’s web site. The prospect will typically first be exposed to the company by seeing a customer or analyst review of the product, or finding out about the company through a social connection such as a personal referral or becoming aware of the company through a social site such as user forum in a social network such as LinkedIn. The tracking of the prospect will occur when this exposure to the company leads them to visit the company’s web site and ideally gives them some specific identifying information. The prospect may also become aware of the company through more traditional “push” lead generation activities such as mailings, tradeshows, or even cold calling. The content provided by the company or by influencers independent of the company is crucial for establishing the prospect’s opinion of the company and helping to determine the prospect’s assessment of whether or not the company’s solution is preferable. The prospect’s determination of suitability of the product is often determined prior to the first contact with the customer. The prospect’s perception of the company prior to the first sales contact is based on the opinion of others in the social community, including other prospects, customers, press, and analysts together with content provided by the company – it is essential for the company to have both great content provided by the company and great “word-of-mouth” reputation built on their customer successes. The company must aggressively respond in the blogosphere to enhance its reputation and foster a culture of openness. A aggressive response to criticism from the New York Times of Tesla by its CEO, Elon Musk was ultimately followed by Tesla’s first quarterly profit (Q1 2013) and its highest sales ever. In the case of Marketing Automation, the prospect enters the cycle on first contact with a company property such as a web site interaction, while Customer Engagement Management begins with the first interaction with a company SaaS offering. Each interaction of the cycle results in a more complete picture of the prospect or customer that refines the company’s understanding of the user. The cycles repeat to increase the customer’s success while increasing their Customer Lifetime Value to the company. The primary dynamically generated insights of the prospect or customer comes from their interaction with the web site and the content it provides. Understanding the areas of the SaaS application that are most used together with areas that users struggle with are essential to determining both their propensity to buy or upgrade. Equally important is identifying usage patterns that indicate the customer is receiving limited value correlating with a high likelihood of churn. This activity is used in conjunction with the insights into the customer attributes obtained through social networks such as LinkedIn, surveys to the user base, and insights gathered by other company personnel maintained in the CRM. Big Data techniques are used to take large amounts of usage data and correlate the behaviors with sales opportunities and revenue risks for specific segments of the user base. The message and actions taken by the company either by automated or by company personnel is dependent on these scores and the attributes of the user. Additionally, consolidating this information and identifying trends is crucial for SaaS company management to measure their progress and take strategic action to help drive future revenue and reduce churn. Monitoring social networks using sentiment analysis to mine social networks, gives visibility to the company’s reputation at the macro level. All of this insight helps the company prioritize their efforts to improve their reputation to drive sales. Based on the information gathered and analyzed in the prior cycles, the most appropriate “message” is directed to the user in an automated way. Messaging can take many forms such as “in-app” messaging that gives help in the use of the product, the offer for a direct “chat” with a company representative, an email giving a recommendation for use of the product or additional product information, or an invitation to a webinar or company event. In all cases, the company must prioritize efforts to provide excellent content so the messages are most valuable to the user. In addition to the automated delivery of messages (content) to the user, actions can trigger the company’s sales and support system through the CRM system which can perform the role as a central repository for the customer data. This creates a “Customer Data Platform,” proposed by David Raab, which contains an always current insight into customer and prospect behavior. Sales Force Automation systems and Customer Service systems will initiate sales or customer actions based on the information gleaned from the prior steps in the cycle. The sales and services personnel will be well informed of the successes and issues the prospects and customers have by having intelligence into their actions and the automated steps already taken by these systems. The information obtained during this cycle will provide insights about the successes of prospects and customers that can optimize marketing campaigns, company websites, and SaaS products. For SaaS product managers, insights into how customers use the system, what portions of the SaaS products are most frequently used (or not used at all), where users experience error states points to areas where the user experience needs to be improved. This is particularly important for trial or “proof of concept” uses of the systems where a lack of activity points to a low likelihood of conversation to a paying customer unless action is taken. Specific usage patterns, particularly limited or non-use of the SaaS product’s high-value features predict a high likelihood of churn. With this information, the company can take proactive steps to improve the customer experience by education or other means reducing the likelihood of churn. This information can also identify high productivity users who are getting significant value out of the system. These users can be fostered as likely opinion leaders who can help promote the use of the product. Finally, use of the SaaS products can identify opportunities for incremental sales by identifying additional capabilities that are likely to be valued based on their current product use. SaaS gives the unique ability to gain “Customer Intelligence” based on usage of the company’s product that has never before been available. Companies selling on-premise applications never had the quantitative knowledge of if or how their product was being used. SaaS subscriptions can be easily terminated necessitating more attention to customer success if the SaaS company is to be viable. Innovative use of Marketing Automation software together with Customer Engagement Management has been used successfully by companies such as HP, which is observing early success in using Salesforce, Eloqua and Totango together to drive revenue and the customer success.